This pattern is inspired by the trees in the little woods near my house. I am fascinated by trees and leaves and they appear over and over again in my work. 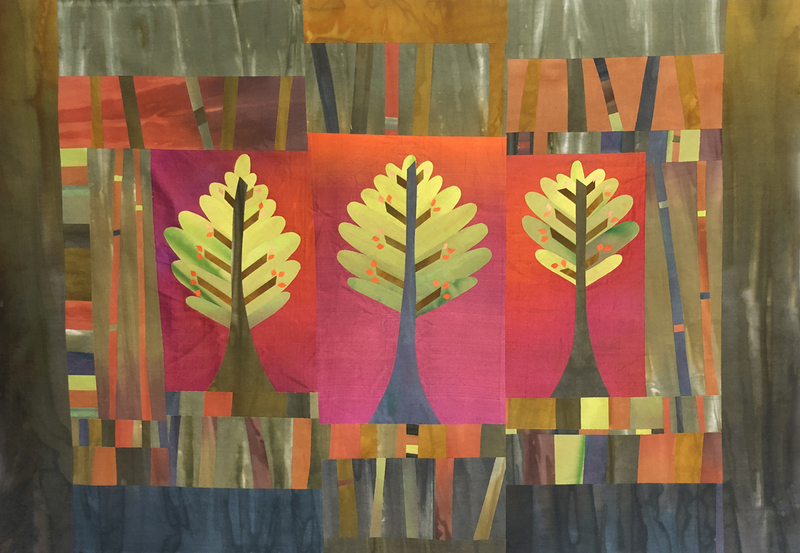 Using easy to do fusing techniques and vibrant hand dyed fabrics, students will create a charming and bright wall quilt featuring Frieda’s hand dyed SILK fabric for the background behind the trees, and luscious cotton fabrics for the collage style borders and trees. This is a larger project then any of my other patterns. 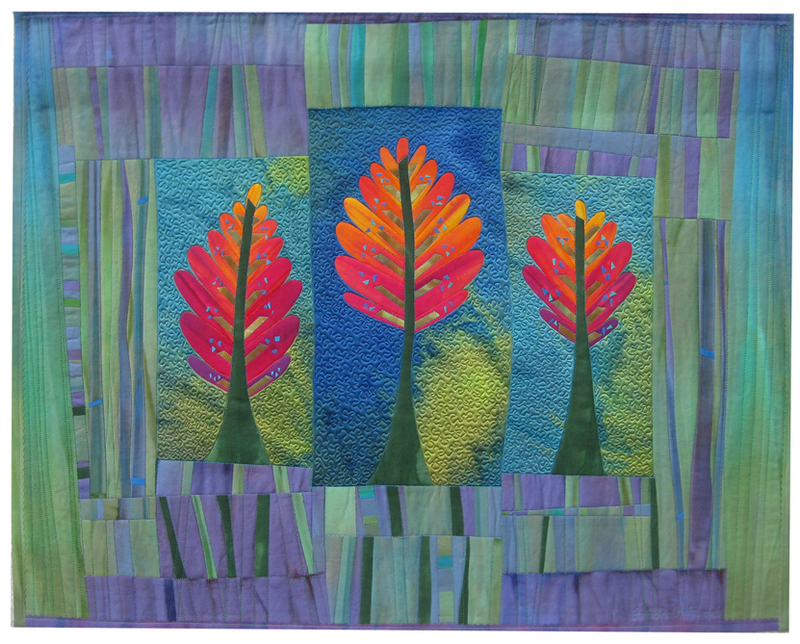 It is a fused collage style quilt project. But easy to do with a large full size pattern and an extra smaller pattern to make using your left over fused fabrics. The pattern comes with a full size line drawing of the design, full written directions and a wonderful 8.5″ x 11″ color cover. This pattern is kitted using some silk. 4 yards of Wonder Under fusible web – it says #805 on the end of the bolt (no substitutions please) I have found it is the cheapest at Walmart on line.